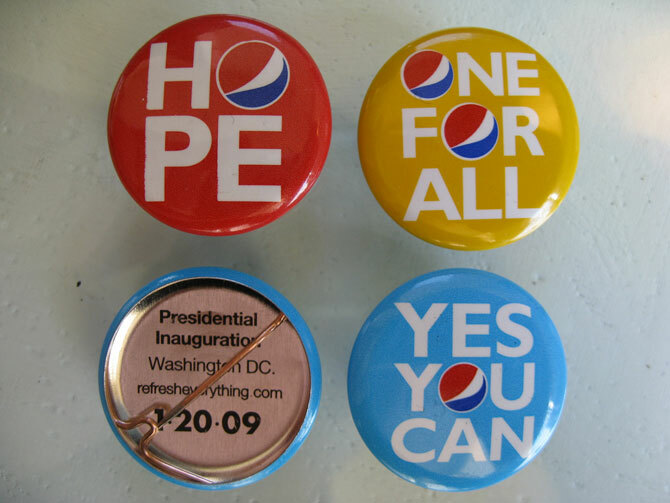 With a scale six times that of the Superbowl in terms of audience, the Inauguration was a really big moment for Pepsi. We had spent 2008 peppering the country with joyous OOH boards nodding to the brand's revived spirit of optimism and Obama's Inauguration in January of 2009 was no different. We took this to another level, covering DC with colorful words of hope and handing out warm scarves, hats and decorative buttons on the Mall. We used the spot "Pass" to link Pepsi's past with a call to action to the future: "Every generation refreshes the world. Now it's your turn." From initiatives like the Refresh the World Symposium to scarves and train wraps, Pepsi's presence was felt at the inauguration.